Our office is a leading referral center for hip and knee joint replacement in Missouri and Illinois, and since our inception in April 1980, we have provided specialty joint treatment for people from around the world. 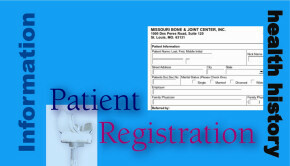 The Missouri Bone and Joint Center physicians and professional staff specialize in comprehensive, individualized treatment for people of all ages. The Missouri Bone and Joint Center is known for its leading edge research and technology, and is in the forefront to improve surgical techniques and longevity of joint replacement materials. Ongoing research in conjunction with the Missouri Bone and Joint Research Foundation and Signal Medical Corporation has led to advancements in joint replacement design, including the use of ceramic materials and quality plastics. 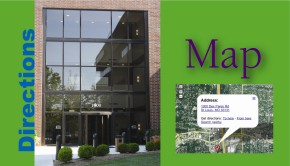 The Missouri Bone and Joint Center is located in Suite 120 at 1000 Des Peres Road in Des Peres, Missouri. The building holds the offices of the clinic and medical staff, the research foundation laboratory and physician training facility, and the Missouri headquarters of Signal Medical Corp. I was most amazed that Dr. Whiteside LISTENED to me in my first appointment, and didn't dismiss or diminish my pain. Dr. Whiteside, my children thank you because I can run errands by myself now after being disabled for nearly three years! Thank you so very much!